The site had little fresh water and many mosquitos. Skirmishes with the local Ningy Ningy people occurred. Within a year a decision was made to attempt a new site on the banks of the Brisbane River, earlier explored by Oxley. This second settlement centred on a landing place at what became Queen’s Wharf, expanding to higher ground along what is today’s Queen Street, Brisbane. The convicts of Moreton Bay were second offenders, initially 30 then later drafts of 30 to 50. Each draft was accompanied by a guard of 15 soldiers from the 40th Regiment. The British Army 40th Regiment of Foot was an infantry regiment with a history that stretched back to Nova Scotia, Canada, in 1717. Transferred to Britain in 1763 the Regiment, including Lieutenant Henry Miller, was involved in the defeat of Napoleon at Waterloo in 1815. Lt Miller was born in 1784 in Londonderry, Ireland. In his career prior to 1823 he had served in the Peninsula Wars and been a member of a regimental expedition to New Orleans. He had also been posted to Paris and later Glasgow. From 1823 to 1829, the 40th Regiment was posted to New South Wales. 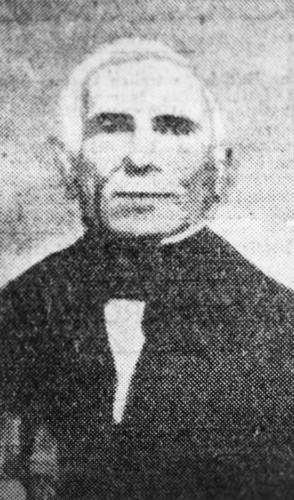 Lieutenant Miller commanded the guard on the convict ship Isabella, which departed Cork, Ireland, in August 1823 carrying some 200 male convicts, mostly Irishmen. On the voyage a conspiracy to mutiny was uncovered. The Isabella, also carrying Miller’s wife Jane and their family, arrived in Sydney on 16 December 1823. The following September saw Lt. Miller attempting, as ordered, to create a penal settlement at Redcliffe Point. He relocated it to the Brisbane River site in May 1825. One source indicates Miller did not make much progress, that he was too harsh on the convicts in his charge so he was replaced by Captain Peter Bishop, likewise of the 40th Regiment, in August 1825. Miller remained in Moreton Bay as clerk of works until departing for Sydney in October 1825. He was transferred to Hobart, Van Diemen’s Land, in March 1826. There the now Captain Miller was in charge of the ordnance store until, in 1829, the 40th Regiment was transferred to Bombay, India. While he served in India, some of his family remained in Hobart. His eldest son Henry, who with his brothers in 1824 as teenagers had roamed the Moreton Bay settlement, had commenced a financial career that would see him one of the wealthiest men in Melbourne. While the regiment remained in India until 1852, Captain Miller retired to Van Diemen’s Land in 1832. He died at his home in Campbell Street, Hobart, on 10 January 1866. His contribution to the founding of Brisbane is acknowledged through the naming of Miller Park, situated between William Street and Queen’s Wharf Road.